The book covers the work in which Peled’s family has been involved since his grandparents immigrated to Palestine in the early 20th century, describing their work and their life in detail. Peled’s maternal grandfather was a signer on the Israeli Declaration of Independence; his father was a General in the Israeli army; in the 1970′s his father pioneered the Israeli Palestinian dialogue and eventually met with Yasser Arafat. In 1997 his sister Nurit lost her daughter in a suicide bombing in Jerusalem. Peled is a contributor to several online publications that deal with the Middle East and he authors a blog dedicated to tearing down the separation wall, and advocating the creation of one democratic state with equal rights for Israelis and Palestinians. He travels regularly to Palestine/Israel where he speaks and works with the popular resistance. Miko has been arrested several times by the Israeli authorities for his activities. He has visited and spoke in Gaza (via tunnel), East Jerusalem and Amman, Jordan. He speaks around the US, Europe and has been to Malaysia, South Africa, Australia and New Zealand. Educated in Israel, Japan and the United States, Miko is an accomplished professional martial artist. He holds a sixth degree black belt in karate. For 23 years Peled ran a martial arts school that was dedicated to teaching leadership skills and non-violent conflict resolution through martial arts. He also taught classes to Palestinian children in the West Bank. 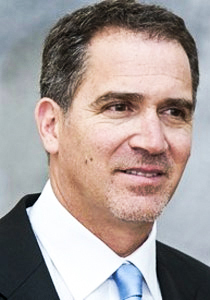 Peled has recently sold his school and is now dedicating his time to writing, speaking and activism focused on transforming the racist Zionist regime in Palestine into a democracy with equal rights for all Palestinians and Israelis.